Critical Review of Yanis Varoufakis' Book, "Adults in the Room: My Battle With Europe’s Deep Establishment"
If you haven’t yet read Adults in the Room by Yanis Varoufakis, |1| order it from your bookseller. It has all the ingredients of a political thriller – suspense, plot twists and turns, betrayals and more. But what is interesting about the book is that it gives the author’s version of events that have influenced and are still having repercussions on the international situation – in particular in Europe, but also beyond, because the disappointment caused by the capitulation of Greece’s radical-Left government has left its mark on everyone’s mind. Varoufakis writes: “While Alekos remained an opponent of Syriza, he was personally supportive and promised to come up with a name. The same night he texted me the name of Dimitris Mardas.” |2| Varoufakis contacted Mardas directly and offered him the position of Alternate Minister of Finance. Then Varoufakis added Elena Panaritis (image below) to his team, because she was familiar with the language and modus operandi of the Troika. Panaritis, as a PASOK MP, had voted in favour of the first Memorandum of Understanding in 2010. Before that, she had worked in Washington, mostly at the World Bank – where, Varoufakis tells us, she built up an excellent network of connections with the Washington-based institutions. That included former US Treasury secretary Larry Summers, whom she introduced to Varoufakis. Panaritis, in the 1990s, worked for the World Bank in Peru, where she collaborated with the corrupt and dictatorial neoliberal regime of Alberto Fujimori. As Varoufakis tells it, “[…] when I met her again a few days before the election I did not hesitate for a moment to ask her to join my team, for there is no better person to fight the devil than one who has served him and, through that experience, become his sworn enemy.” |4| Later events would show that not only had she not become his sworn enemy, she continued to collaborate with him. We should add that in 2000, as Secretary of the Treasury, Summers pressured the president of the World Bank, James Wolfensohn, to remove Joseph Stiglitz, who had succeeded him as chief economist and who was highly critical of the neoliberal policies Summers and Rubin were putting into practice all over the planet, wherever financial fires were breaking out. After the arrival of the Republican president George W. Bush he continued his career, becoming president of Harvard University in 2001. But put himself in a particularly uncomfortable position in February 2005 when he provoked the ire of the academic community following a discussion at the National Bureau of Economic Research (NBER). |18| Questioned about the reasons why few women hold high positions in science and engineering, he said that women intrinsically have a lower aptitude for sciences than men, ruling out social and family origin and discrimination as possible explanations. The result was a huge controversy, |19| both within and outside the university. Summers apologised, but pressure from a majority of professors and students of Harvard forced him to resign in 2006. 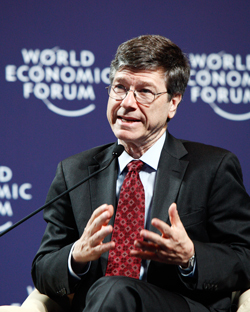 Varoufakis asked Jeffrey Sachs (image on the left), also a specialist in dealing influence in the back rooms of Washington, to collaborate closely, which Sachs agreed to do, travelling to Athens, Brussels, London, and Washington several times in 2015 to reinforce Varoufakis’s team. Sachs, like Lawrence Summers, is linked to the US Democratic Party and is presented by the dominant media as being favourable to a “soft” solution to debt crises, taking the interests of the poor into account. |20| Yet Sachs has been an adviser to neoliberal governments that have applied Shock Therapy policies in their countries: Bolivia (1985), Poland (1989) and Russia (1991). In her book The Shock Doctrine: The Rise of Disaster Capitalism, |21| Naomi Klein makes an implacable denunciation of Jeffrey Sachs and the policies he recommended in collaboration with the IMF, the World Bank and the local ruling classes. We should add that under the Tsipras I government, he also assisted Cosco in acquiring the parts of the port of Piraeus that the Chinese company still did not own. |25| As a matter of fact it was Sagias’s law firm that had drawn up the first agreement with Cosco in 2008. After leaving his position as cabinet secretary, Sagias returned to actively running his commercial law firm, |26| serving as official counsel to major foreign interests and promoting further privatisations. In 2016 he represented the Emir of Qatar, who wished to acquire the Greek island of Oxeia in the Zakynthos region, which is part of a Natura nature protection area. Sagias also counselled Cosco in 2016-2017 during a dispute with workers at the port of Piraeus when an early-retirement (or disguised firing) plan for more than a hundred workers nearing retirement age was being concocted. Dr. Eric Toussaint is a historian and political scientist who completed his Ph.D. at the universities of Paris VIII and Liège, is the spokesperson of the CADTM International, and sits on the Scientific Council of ATTAC France. Eric Toussaint is a frequent contributor to Global Research. |7| Lazard is a worldwide financial counselling and asset-management firm. Created as a French-American house in 1848, Lazard is now listed on the New York Stock Exchange and is present in 43 cities in 27 countries. One of its directors who is well known in France is Matthieu Pigasse. Under his leadership the bank has advised several governments in the areas of debt and asset management (read privatisations): Ecuador in 2008-2009 foe debt, Greece in 2012 and 2015, and Venezuela in 2012-2013. Pigasse has direct interests in the Paris daily Le Monde, the Huffington Post and the magazine Les Inrockuptibles. In late 2017, Matthieu Pigasse and Lazard allied with the corrupt and repressive regime of Congo’s president Denis Sassou-Nguesso to provide aid in its dealing with creditors (in French). |8| A specialist in sovereign debt, Daniel Cohen is an adviser to Lazard, in which capacity he advised Greece’s Prime Minister George Papandreou and Ecuador’s president Rafael Correa in renegotiating their countries’ debt. He participated with the World Bank in the Heavily Indebted Poor Country (HIPC) Initiative. He is an editorialist for the daily Le Monde. Cohen has also been an adviser to François Fillon, who was Prime Minister under Nicolas Sarkoy from 2010 to 2012. He then threw his support to François Hollande, president of France from 2012 to 2017. |12| Daniel Munevar is a post-Keynesian economist originally from Bogotá, Colombia. 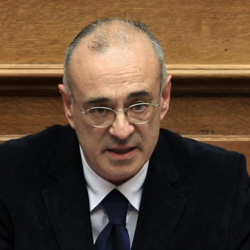 Between March and July of 2015, he worked as Yanis Varoufakis’s assistant while the latter was Finance Minister, advising him on budget policy and debt sustainability. Before that, he was an adviser to Colombia’s Ministry of Finance. In 2009-2010, he was a CADTM staff member in Belgium, then, after returning to Latin America, he co-ordinated the CADTM network in Latin America from 2011 to 2014. He is an important figure in the study of public debt in Latin America. He has published a number of articles and studies. He participated with Éric Toussaint, Pierre Gottiniaux and Antonio Sanabria in compiling World Debt Figures 2015. Since 2017 he had worked for the UNCTAD in Geneva. |16| Lawrence Summers, interview with Kirsten Garrett on the occasion of the annual assembly of the World Bank and IMF in Bangkok in 1991, “Background Briefing,” Australian Broadcasting Company, second programme. |17| The law adopted under the leadership of Robert Rubin and Lawrence Summers is known as the Gramm-Leach-Bliley Act Financial Services Modernization Act of 1999. This law was adopted by the US Congress, dominated by a Republican majority, and promulgated by the Clinton administration on 12 November 1999. It allows commercial banks and investment banks to merge and establish universal banking services, that is, those of a retail bank, an investment bank and an insurance company. The adoption of this law came after an intensive lobbying campaign by banks to allow the merger of Citibank and the insurance firm Travelers Group to form the conglomerate Citigroup, one of the world’s largest financial services groups. The new law in essence abrogated the Glass Steagall Act or Banking Act, in place since 1933, which declared that the professions of commercial banking and investment banking are incompatible and avoided major banking crises in the USA until the one that broke out in 2007-2008. |18| Financial Times, 26-27 February 2005. |25| I will return to the subject of the role Varoufakis himself played in pursuing the privatisation of the port of Piraeus and his relations with Cosco.